Software Updates : Is Apple better at it? Google is releasing new versions of their extremely popular mobile OS, Android , very quickly. This is great news for owners of Google phones such as the Galaxy Nexus or Nexus S. They will be able to update their phones to the newest and the best that Google has to offer. Unfortunately for those Android users out there that do not have Google devices, they will have to wait. This is one point were Apple seriously has an advantage over Android. For a new version of Android to reach the end user, first Google needs to release it, then the manufacturer has to make a version that is compatible with their hardware, then the service provider needs to approve it and possibly make changes. Yes, Apple has to go through these steps too but they do it in a much shorter time frame in the end user's eyes. Apple would have taken out the first two steps pretty easily and the last step is usually pretty smooth. Apple would then announce the OS, and it would be available for download. Google on the other hand takes a much longer time. Google would need to first announce and release it for Google phones, then the manufacture would take an AGONIZINGLY long time customizing it for their hardware. This flaw is a side effect to a major benefit of Android and that is choice. The nature of being open source means that even Google doesn't know how many devices use Android. 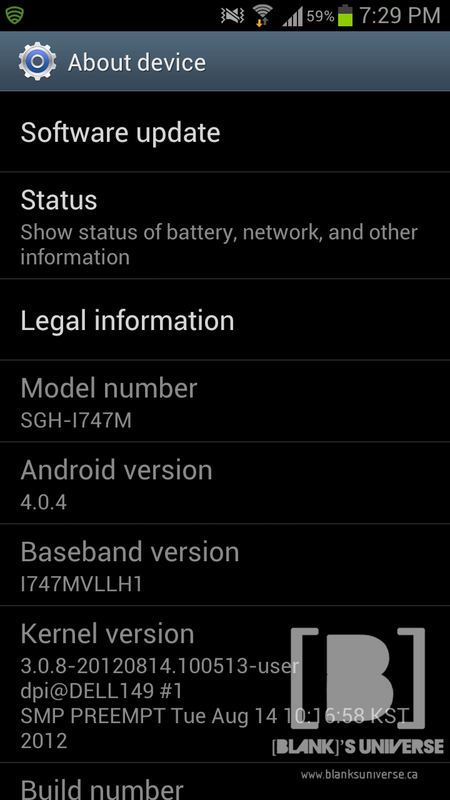 That said, Android 4.2 is almost out and my S3 has not even received update for Jellybean.